G'day Mate! 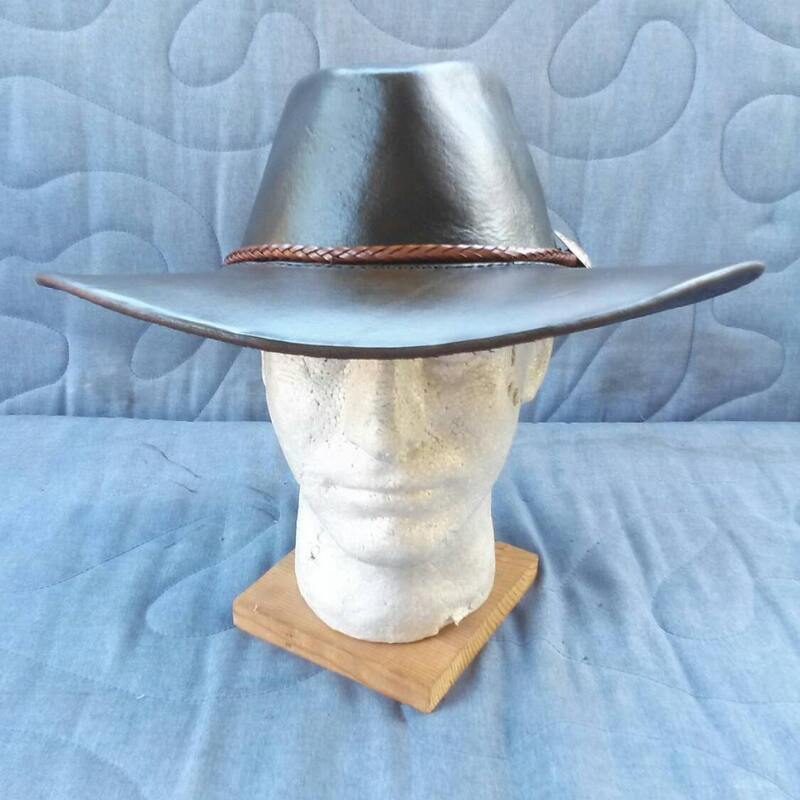 This leather bushman's hat comes with a 8 plait (braided) leather hat band with silver concho, and leather sweatband inside. 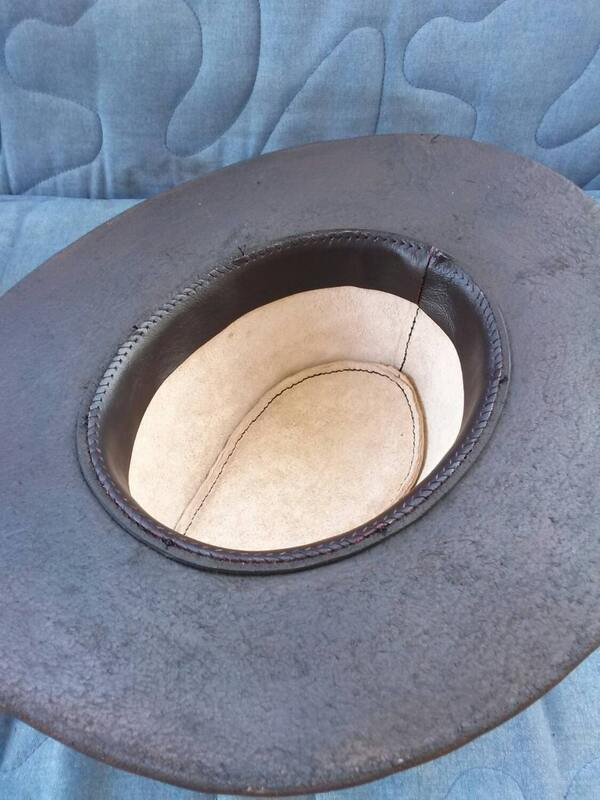 3" brim. 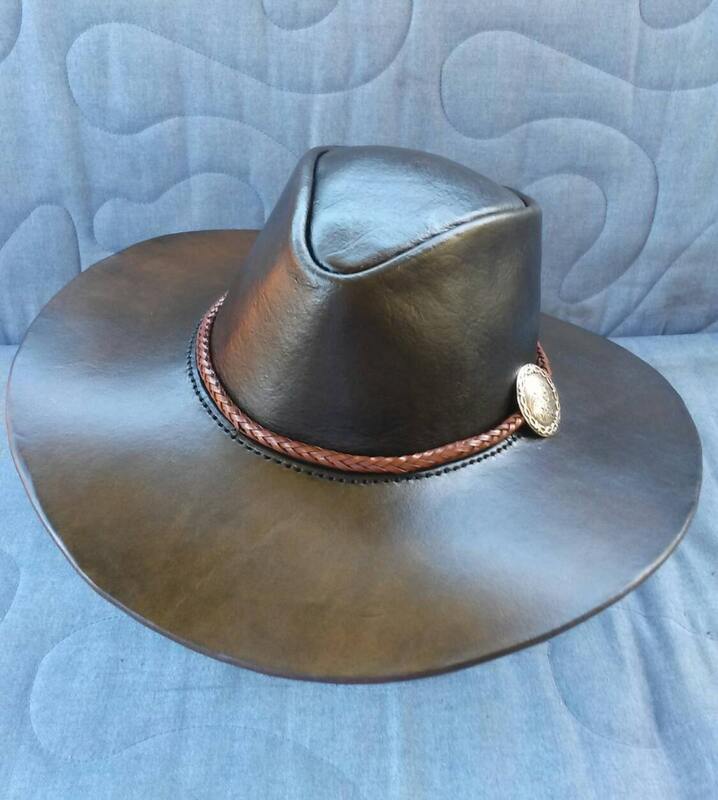 These are made to order with your specified hat size. Unisex.